The most commonly asked questions will appear here. This is a good place to check first if you need help. An unrelated question, which model of ACEPC is this, the AK1? I want to update the BIOS since that gives performance increases according to Actiftech on the ACEPC forums. Yes. The model is very similar to the AK1. However it looks like the Replay has its own BIOS version. It actually reads as a Dreamcade Replay in the BIOS. The Replay also has its own motherboard with the Replay name stamped into it. I would be interested to know if flashing over does work, and if you do gain any improvements. However it is possible that doing so could render the Replay unbootable at all. Also be careful to make sure you try the AK1 BIOS if you do. There is also now a GK1 out with different hardware. 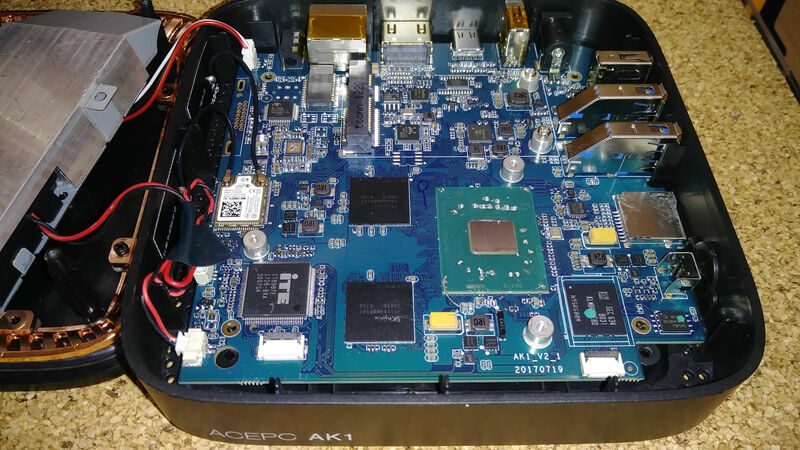 Here is a picture of an AK1 with the heatsink removed, and here is a picture with it installed to get a look at the original board. 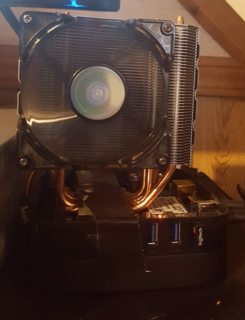 I had an air cooler in my main Desktop. A Cooler Master Hyper N520. It has been in use almost 24 hours a day for about 5 years. Thus it has started to show its age, and my computer began running way hotter then usual under load. A few days ago I switched to an AIO cooler. It has made a night and day difference. So what does that leave a poor old air cooler to do? Get strapped to the Replay of course! It's not very piratical, and the fans are not running very fast since I am using a USB to 3 Pin fan adapter, but it is on there and running. The link on this page shows a dropbox link for AK1_4G_32G_3265. However there is no date on it, and the AK1 was released in 2017. The Replay was manufactured about the middle of 2018 or so. Do you happen to have the thread where actiftech mentions the improvements, and/or a link to the BIOS mentioned? I almost never double post, but don't try to update the BIOS. I tried the one I mentioned and during the update it let me flash it, but it mentioned that the BIOS file was bigger then the memory space where the BIOS goes on the Replay, and now it turns on for a second and turns off. I had two so I suppose one went to battle so no one else would have to. Thanks, I was getting everything stable first, then would have flashed it.